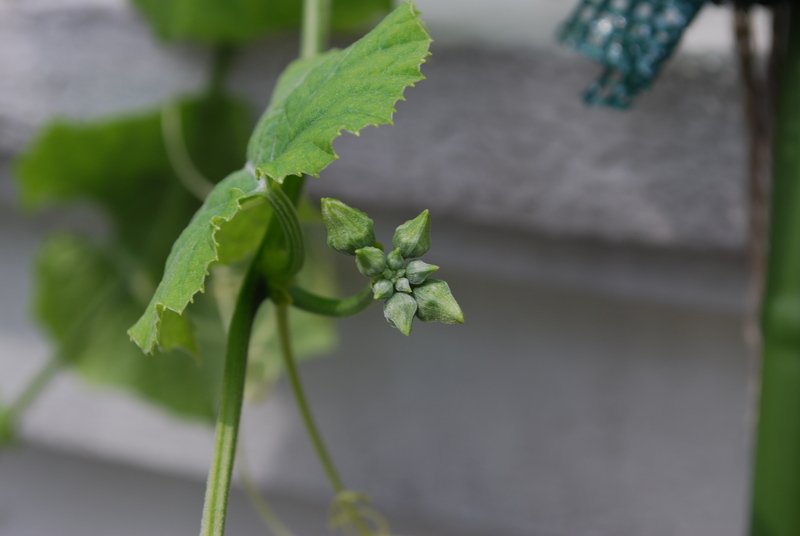 I just blogged about my new luffa flowers a few hours ago, then I went to the airport to send my Pediatrician off to Malaysia (Home of the Truthful Plants). Maybe she will buy me more seeds? By the time I came home, guess what. 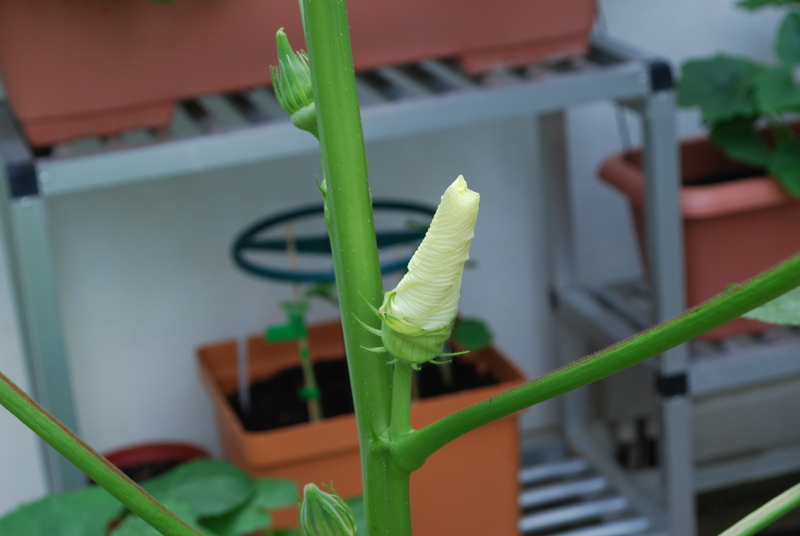 The luffa flower opened! The word for being advanced for your age is precocious. 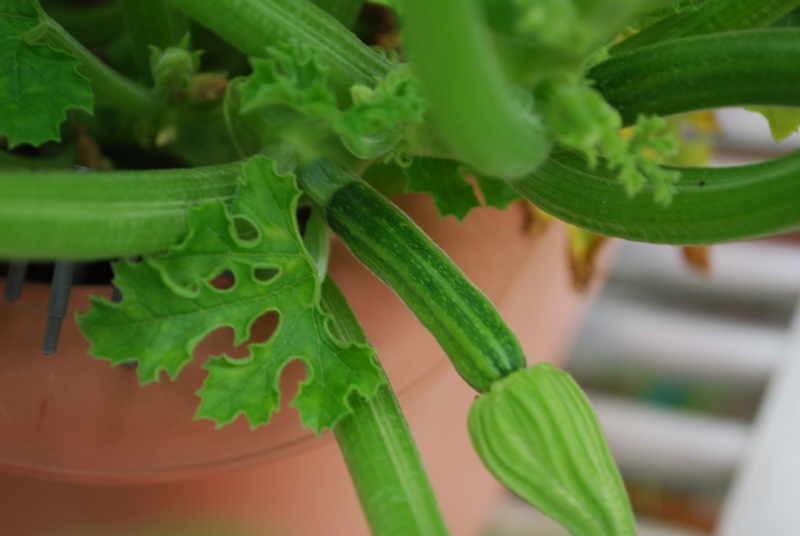 The bittergourd plants are precocious. The Big Sister was very precocious. When she was one-and-a-half, she wanted to sleep in my parents’ bed. Daddy told her it was too small for 3 people, so she told him to sleep on the floor. Daddy said the floor was too hard. The Big Sister told him firmly that he was fat enough. I am not quite as precocious although my Chinese teacher told my Grandma that I was “nga chat chat”. I don’t know if it is a compliment? A newbie is someone who is new at doing something. Like me and homework. It always feels new to me. 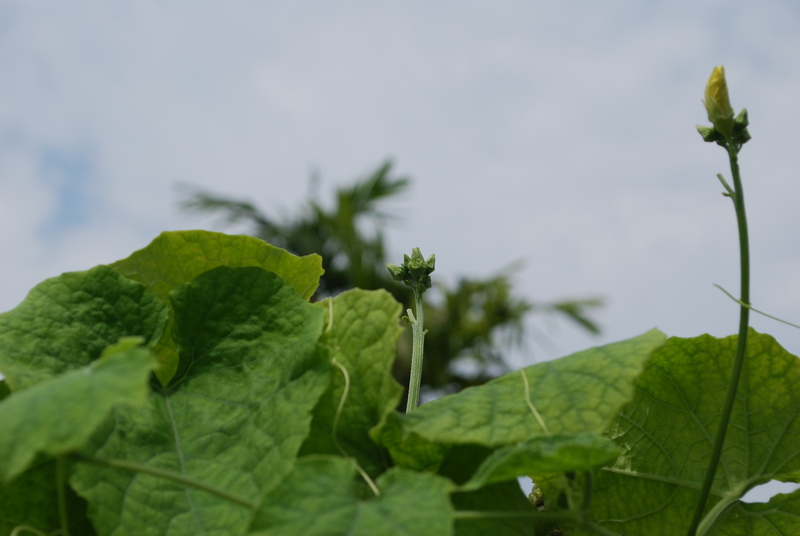 We have 2 new pots of Thai long beans. 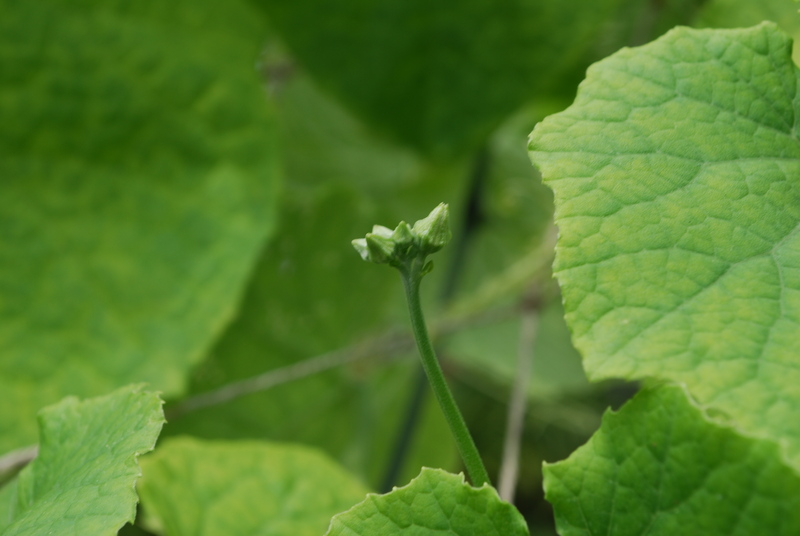 One is the brown-seeded long bean, and the other is the faithful purple long bean. 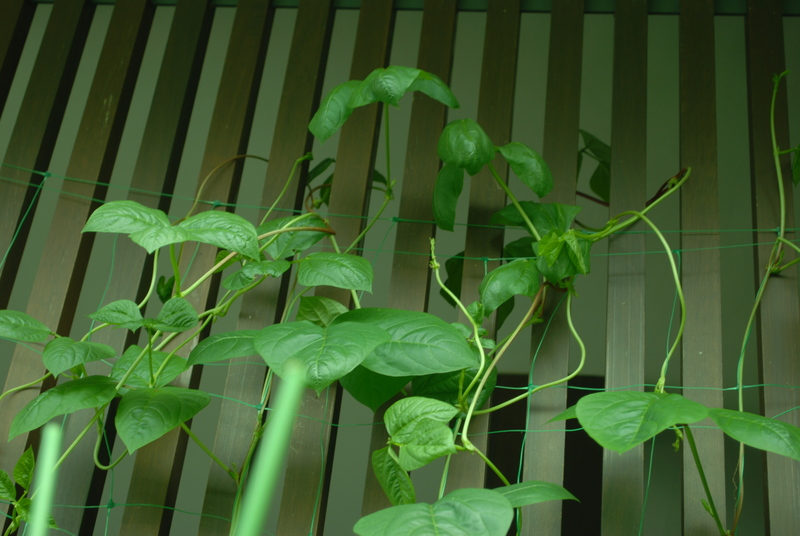 The purple bean was speeding up a trellis on our wooden screen, just like a F1 driver along a straight. 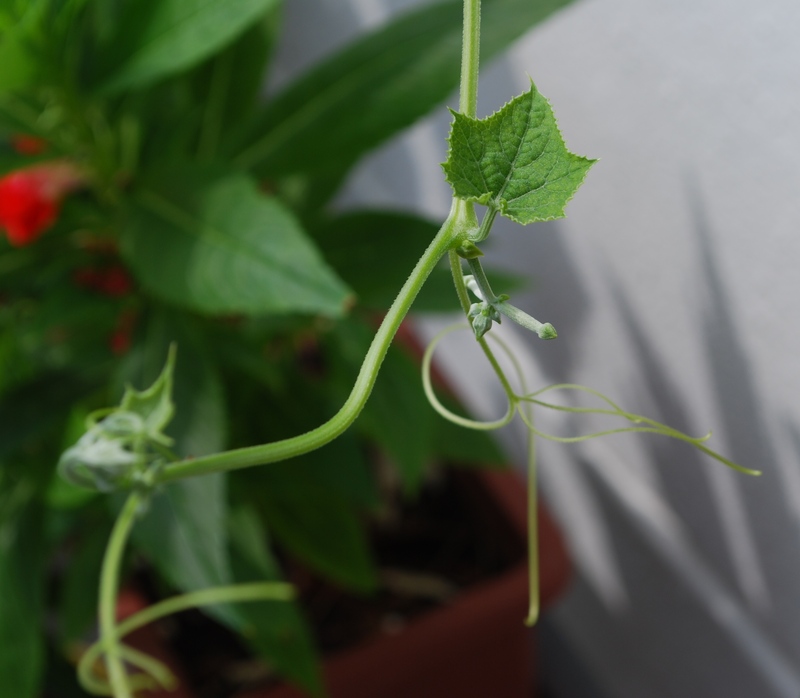 Unfortunately once it got to the top of the trellis, it kind of got all unsure where to go and the 4 bean plants had a crash, look! 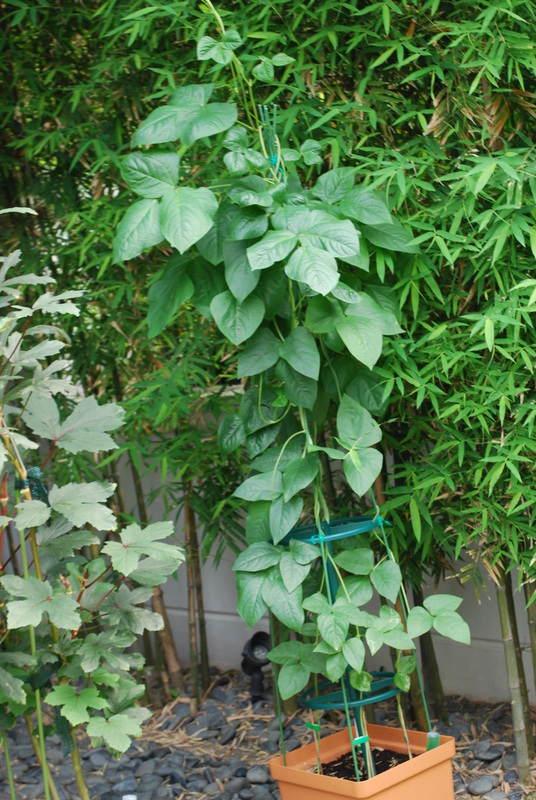 The brown-seeded long bean is growing in our tomato pots (Mummy hexed all tomatoes), and is also quite happy there between the bamboo and the red okra. 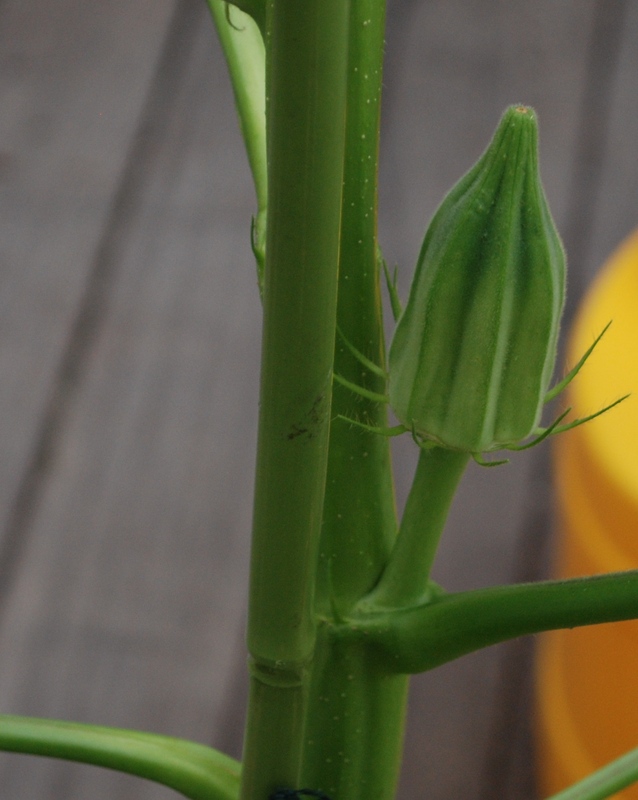 Mummy told me this morning that another Star of David okra flower was wide open, but I had a million things to do and did not take a photo. 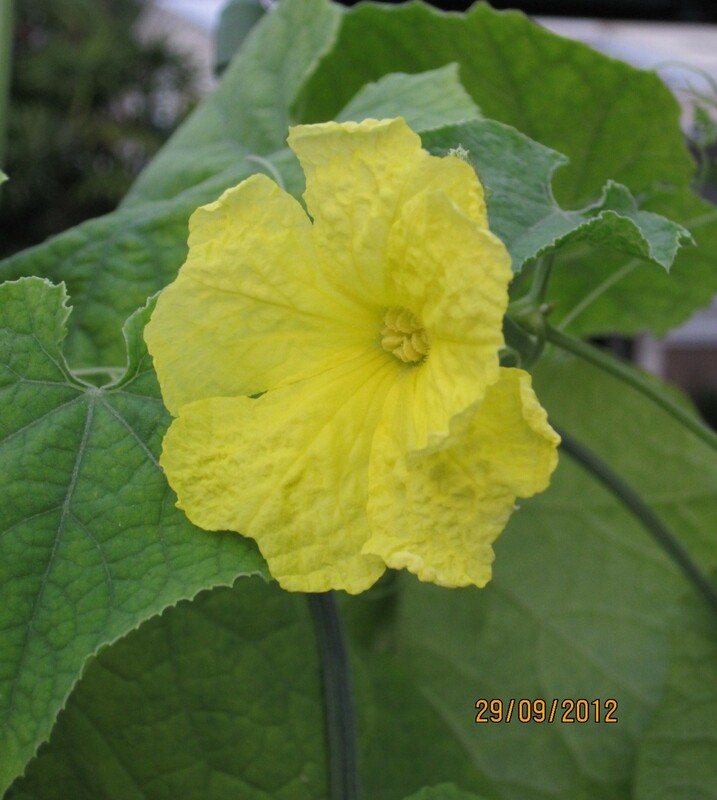 By the time I trotted outside, the flower had curled its petals tightly. It looks just like a baby wrapped in blankies! At Christmastime, we say that Mary wrapped baby Jesus in swaddling clothes, and laid him in a manger. 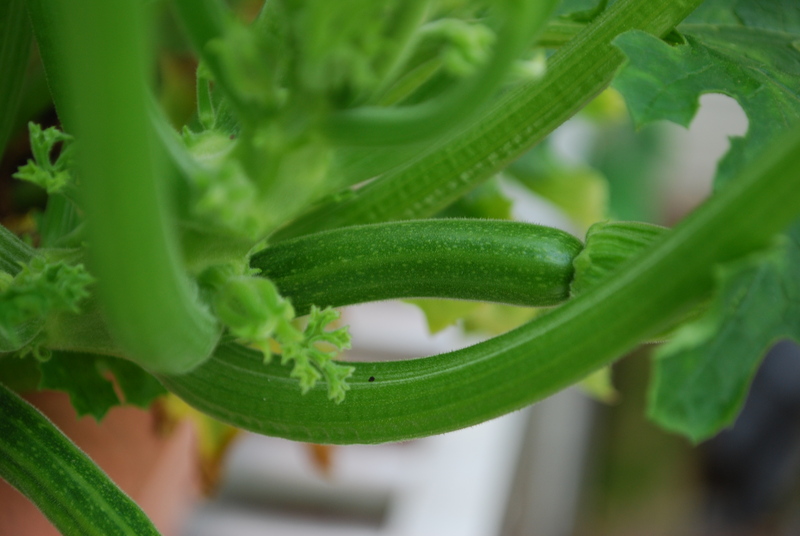 The okra has no manger but never mind. At Sunday School we sing a song “Climb, Climb Up Sunshine Mountain”. Mummy tells me that my eldest grandaunt used to sing it with me when I was a baby. She has gone to heaven now. Novice Gardener let her nephew climb up a ladder to pluck papayas. 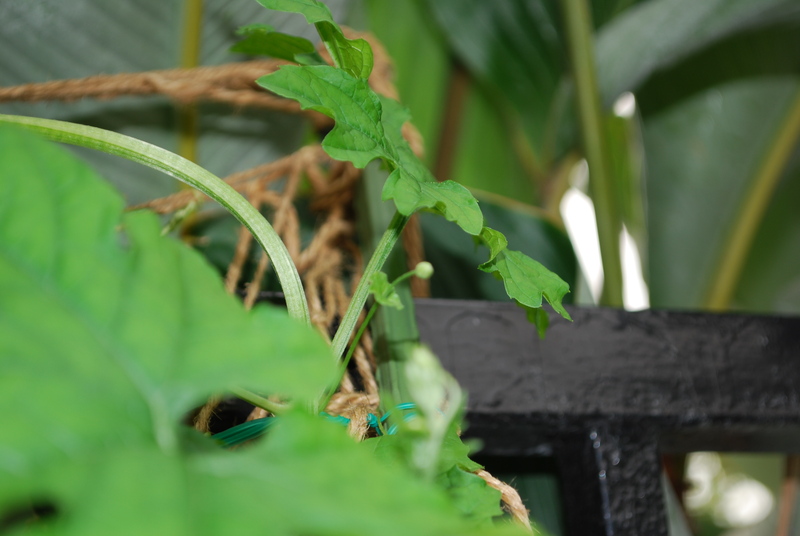 We have a ladder but no papayas (Mummy dislikes growing them and considers them a big tomato). So today I did some climbing too. Secondly, I climbed up a stool to take photos of the luffas. Finally we have clusters of boy flowers and one girl. 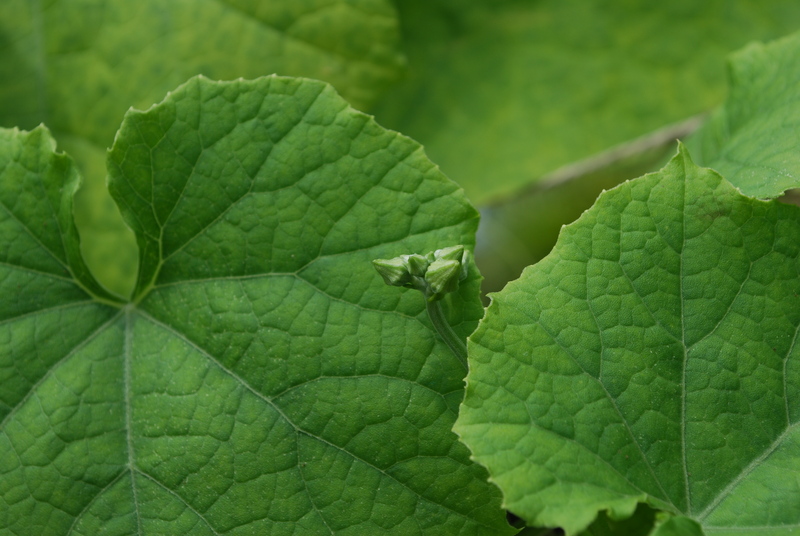 Mummy is nervous because we are not successful luffa growers, but I think these Malaysian luffa seeds from Grandpa should learn from the Malaysian eggplants. They are right next to each other in our garden. 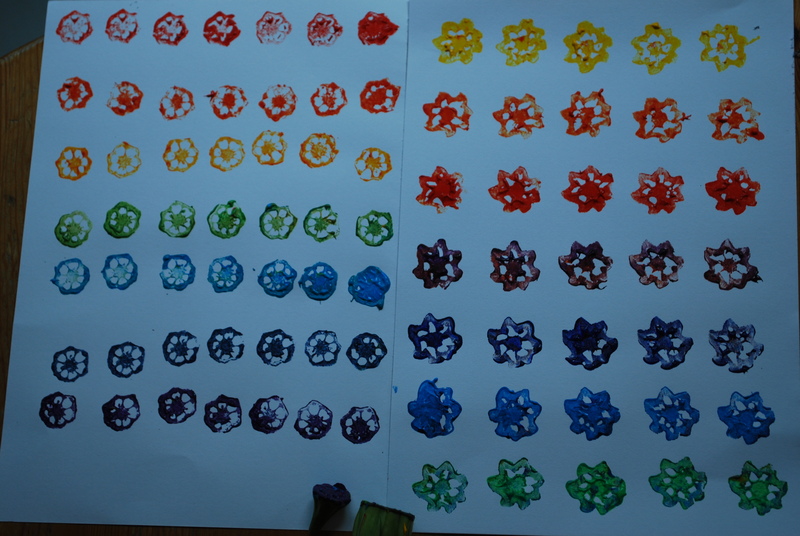 Here is a double cluster – the right cluster even has a petalled flower already! I did more climbing but will write about it in the next post, OK? The Big Sister always tells me she has a 6-pack but I only have a tummy. I am not sure what is in her 6-pack. 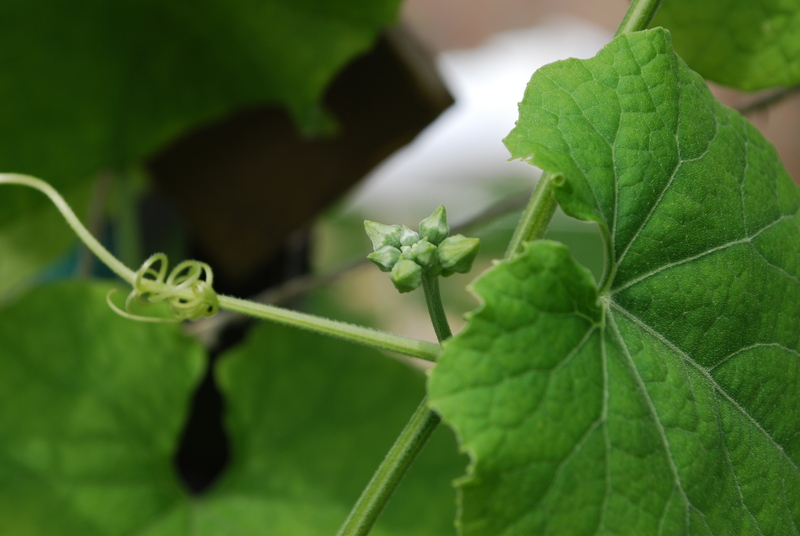 Our Star of David okras have a 6-ridge! That’s my old orange watering can in the background.